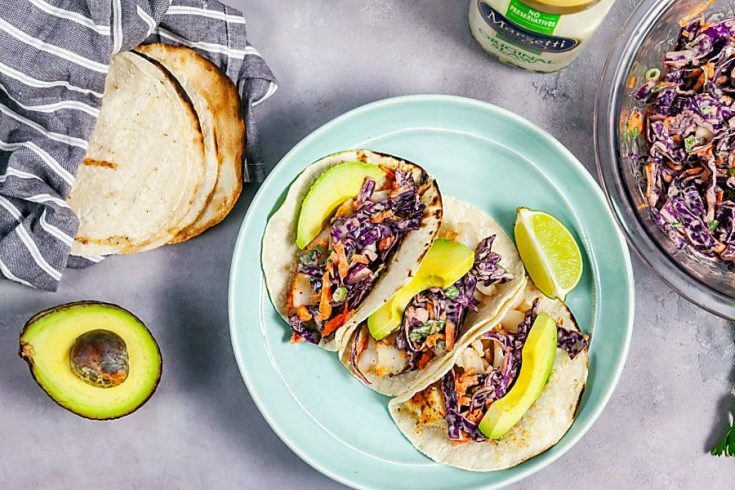 Grilled Fish Tacos | Healthy. Delicious. 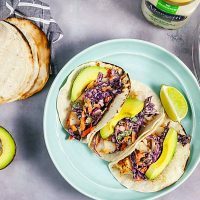 Thank you to WhatsForDinner.com for sponsoring this post and letting me share their recipe. A while back, I heard a story about a restaurant called “I don’t know.” I thought it was pretty brilliant. More often than not, when Shawn asks me what I want for dinner, that’s my answer – I don’t know. Unless I have dinner planned in advance, I can be pretty hopeless when it comes to coming up with ideas of what to eat. And the hungrier I am, the more impossible and overwhelming it gets. 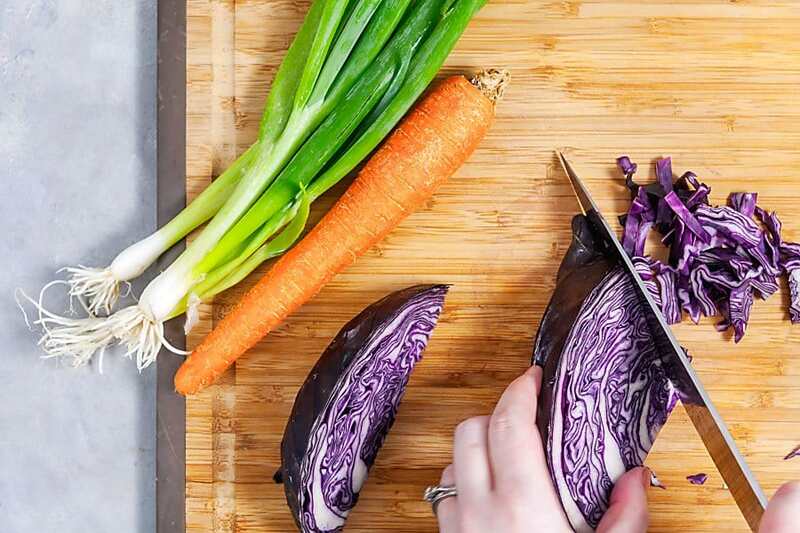 I usually browse my own archives for easy weeknight dinners or Shawn’s favorites, but even looking there or at my favorite blogs for inspiration doesn’t always help – depending on how hungry I am, either everything looks good or nothing looks good. I used to be really good at sitting down every Saturday morning and planning out my menu for the week, but that hasn’t been happening as much lately. I still love to cook and play around in the kitchen, but I can’t think about it all the time like I used to. Life got busy and I’d rather spend the little free time I have on weekend mornings doing things like sleeping in, visiting the pottery studio, or just hanging out and relaxing (<– real talk). I take some comfort in knowing that I’m not alone in this. I have no idea how my friends who are moms get everything done. Between birthday parties and baseball practices and the thirty thousand other things they always have going on…well, I’m exhausted just thinking about it. A new website just launched a new website that looks like it will be helpful on overwhelming nights where you have no plan but still need to get a better-for-you dinner on the table. At What’s For Dinner? you can browse recipes normally, or you can take a short quiz and have one suggested to you. The suggestions they send back are easy, flavorful, and creative. They’re also tailored to the amount of time you want to spend in the kitchen, so you don’t need to spend all day in there if you don’t want to. 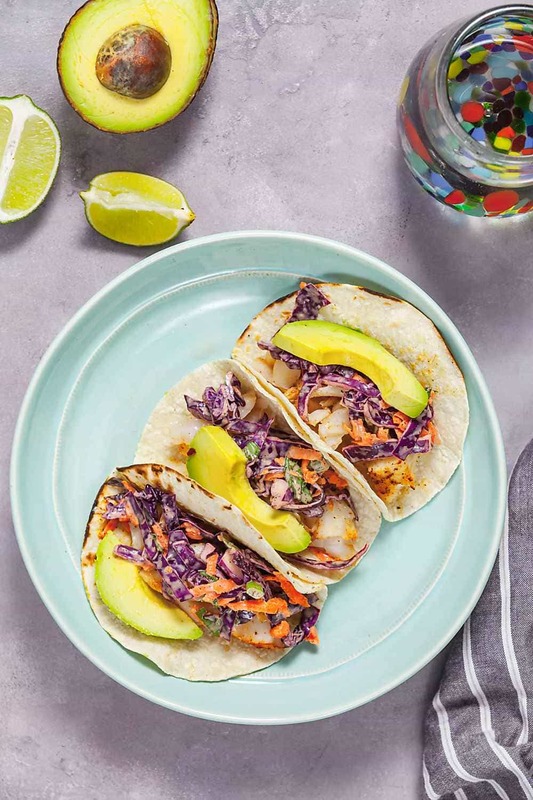 Depending on your mood, these grilled fish tacos are one of the recipes the site might suggest to you. 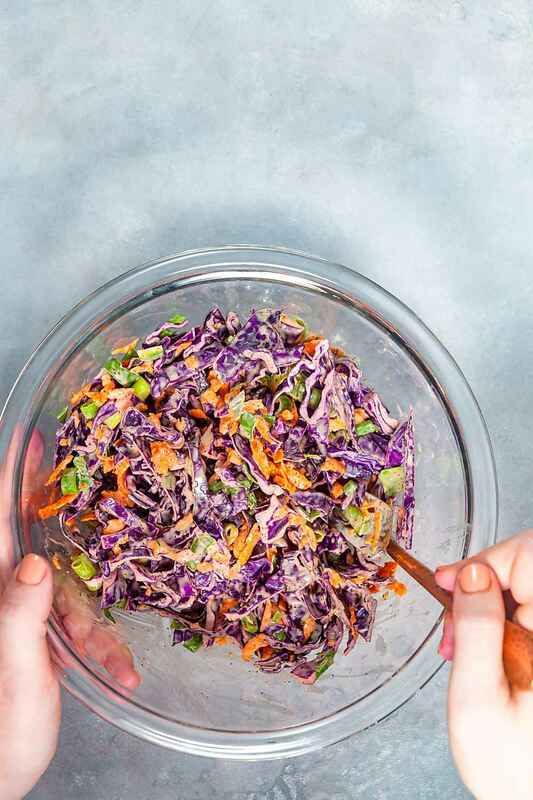 If it does, you should definitely take the suggestion – they’re delicious and super easy! Cod filets are generously seasoned with spices, then grilled outside or on a grill pan until they’re tender and flakey. 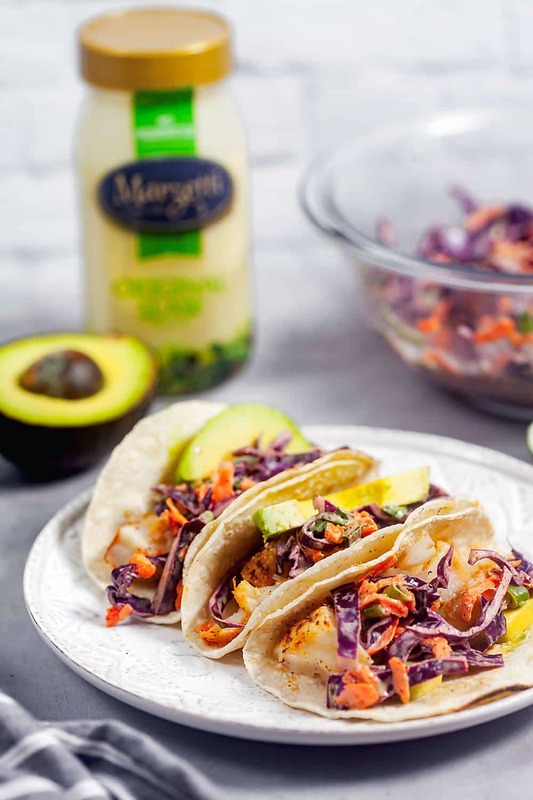 The fish gets piled in charred tortillas and topped with an amazing slaw made with fresh vegetables, Marzetti original slaw dressing, and even more spices. Shawn doesn’t usually like coleslaw, but he loved this one and thought the flavor in it really made the dish. It’s crispy, creamy and has just the right amount of heat. 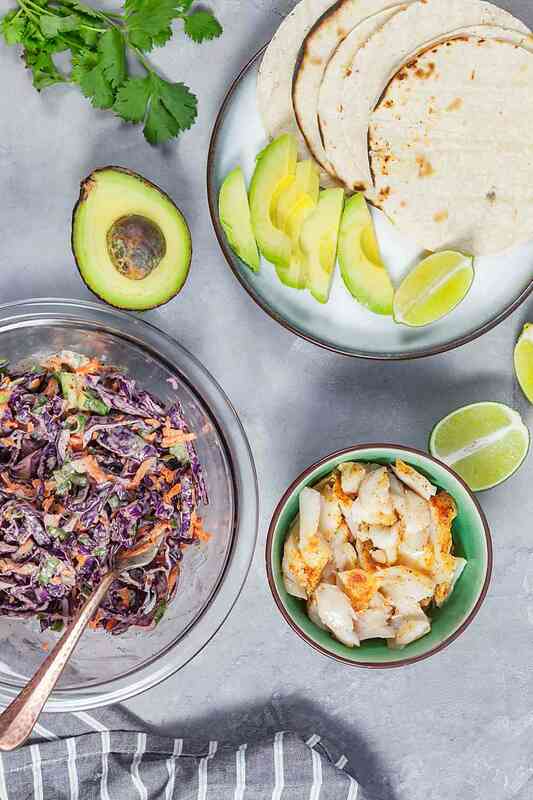 Plus the fresh vegetables add great crunch and texture to the tacos. Be sure to visit What’s for Dinner? 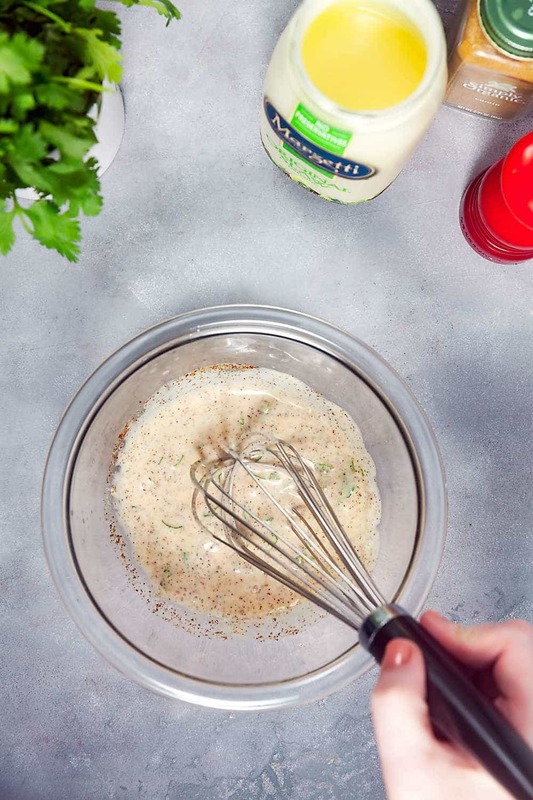 for the recipe and others like it. You can also check out some great ideas on their Pinterest page and save your favorites. Hopefully, it’ll make those hungry nights just a little bit easier. For complete recipe instructions, visit What's for Dinner?